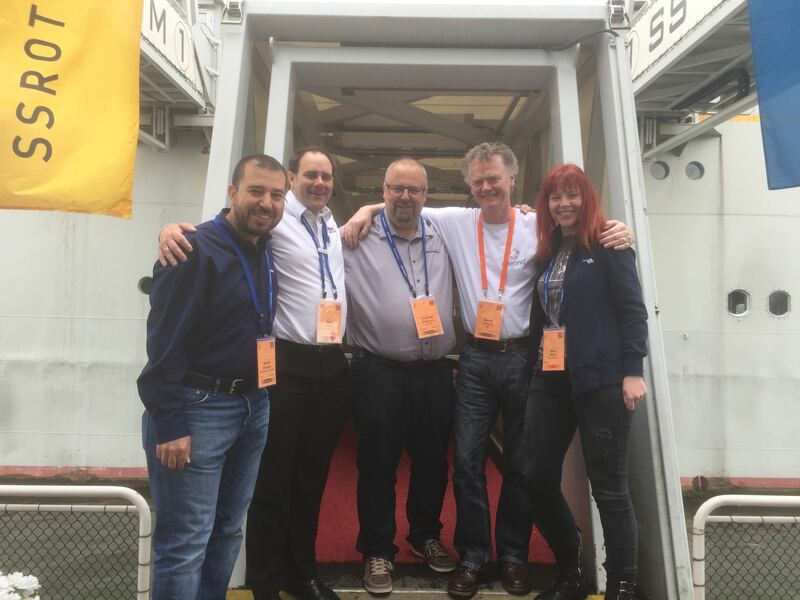 Last month the Paul, Christian, Serdar, Nina, Martin and Nathan represented the board of OpenNTF at Engage. Unfortunately Nathan wasn't in the photo. But it was a good opportunity for us to meet up as well as catch up with both IBM and HCL. There are a number of initiatives in the planning and starting to mature. HCL announced a commitment to open source with OpenNTF, becoming members - more to follow on that. And there were plenty of sessions led by OpenNTF board members. The board will also be well-represented at the Golden Ticket event at HCL's labs in Chelmsford MA next month. And the upcoming release of Domino 10 will open up many more opportunities and potential for a new audience to benefit from IP management and project governance improvements that we provide, to make OpenNTF much more than just a source control repository. As part of those project improvements, shortly before Engage we sent out an email to contributors to get feedback on their projects. We've already had some responses and the first open badges have been issued to those contributors. If you are a contributor and have not been able to reply yet, please do so. Particularly with Domino 10 around the corner we want to be able to promote the key projects available. If you wish to do a video or guest blog post to highlight a project, those are also welcome and please reach out to contributions at openntf.org.